Eat Your City: Cibo Bistro Edmonton, AB - Delicious Italian charcuterie, pastas and more! 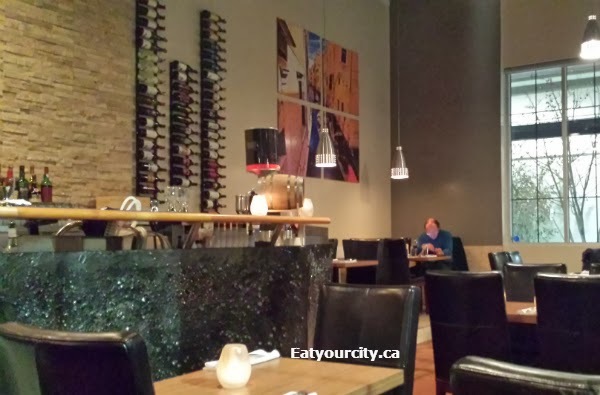 Cibo Bistro Edmonton, AB - Delicious Italian charcuterie, pastas and more! Posted by I've been eyeing up to try Cibo for a while, and while I've heard some good things from my other fellow foodies who are lucky enough to be downtown and get to indulge in Cibo's great lunch specials ($10-12), I finally made time to head there and sit down for supper after running errands in the area. Its tucked and practically hidden in the Oliver Square area - its in the same building as Chocolate Exquisite, and if you park by the bank, and walk into the little "mini park" area to the east, you'll see the entrance. Its a bit tricky to find, but well worth it when you get there! The space is long and narrow, yet with the cool stonework, warm woods and a central bar, somehow it all ties in and becomes an warm intimate space. There is a little cozy table area just off to the side if folks have a slightly bigger party. The menu is ever changing as our friendly and knowledgeable waitress told us, and we had hit just the last day of the late fall/early winter menu. It was refreshing that the waitress could explain what was on the menu (they source many of their meats and veggies locally), and for items she hasn't yet tried herself, she was able to give a good description of how the item was made/constructed/created... and sold the dishes on the menu with confidence - she'd make a darn good living in marketing! Anyways, onto the food! 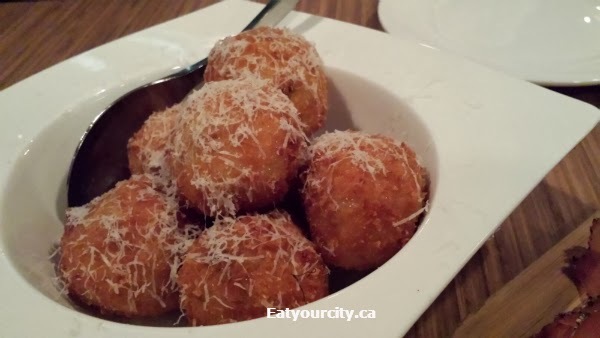 We started off with Arancini – roasted cauliflower, smoked Caciocavallo cheese, and Pecorino Romano. This appy was meant for 4 or more as these perfectly fried crispy on the outside arancini balls were loaded up with savory moist rice, melted cheese and are really really super addictive. A wonderful balance of crisp, soft, sweet, savory.. nom! Almost ruined my appetite by eating all of them right off the bat. Wish my pics of the cut open arancini with molten cheese oozing out wasn't blurry.. but you get the idea. These are a must eat! They were even better cool (but not in fridge) to snack on later in the night. Next up was the Salumi – house cured meat, chefs seasonal house made condiments, and crostini. If my swiss cheese memory serves me right, this was Lonza, a house cured pork loin (or was it Lonzino air cured pork tenderloin? 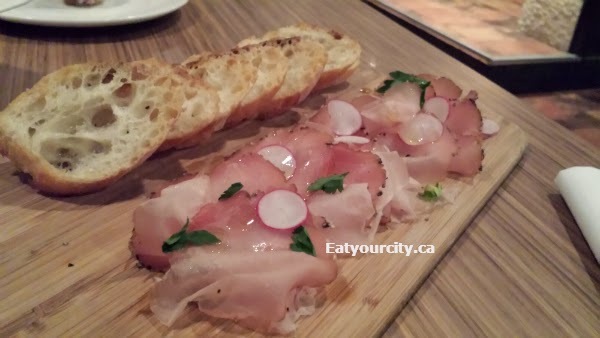 ), with pork raised locally from Ponoka, and supplied by Edmonton's local Acme Meat Market. 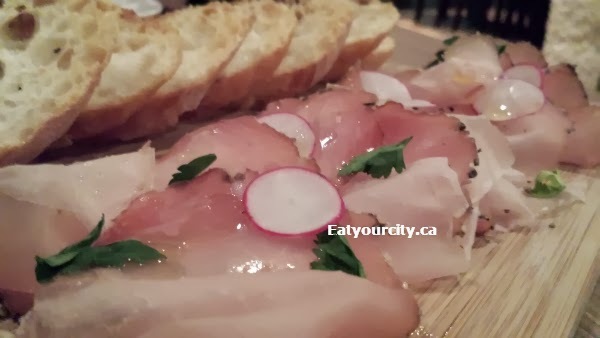 The paper thin pork is creamy, sweet with a hint of salt and peppercorns, topped with a drizzle of olive oil and thinly sliced radishes and parsley... and I could sit and eat this all night long. The crostinis it was served with was cut a bit too thick or not toasted enough, but the house cured meat was the star... nomnomnom! My boyfriend had the Maiale Due Modi – Suckling pig rack and suckling pig trotter/shank terrine, parsnip puree, Brussels sprouts, mostardo sauce. 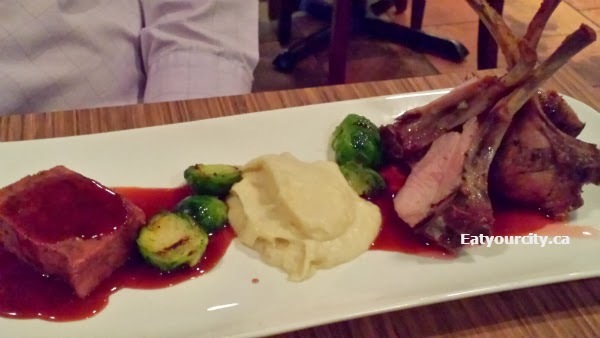 We were actually hoping the chef would serve up the actual trotter (pigs feet) intact, but its cooked down and heavily seasoned so if you weren't told what a trotter was, you'd just think it a seasoned peppery terrine. 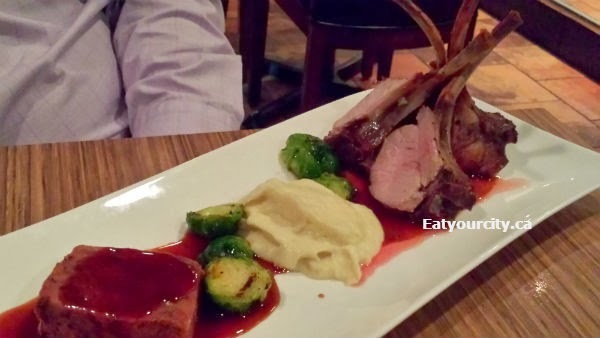 The pig rack were a few baby chops cooked to a melt in your mouth tender and served with super creamy mashed potatoes. 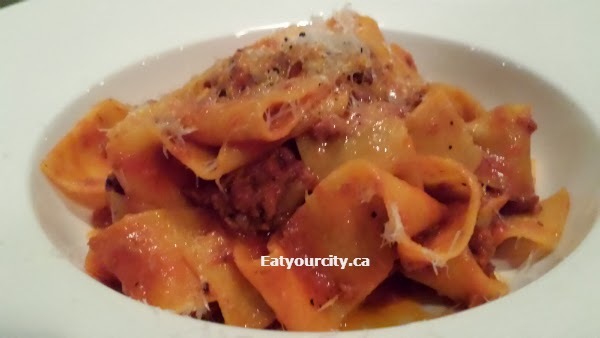 I had the Pappardelle Bolognese – slow simmered wild boar bolognese, Parmigiano Reggiano. I'm a sucker for a good Bolognese sauce, so if I see one on the menu, I'm bound to try it out. I'm not sure if just ground wild boar was used (if so, please use guanciale - the neck meat!) or if wild boar guanciale just happens to be very lean - though the sauce was tasty, it was short a bit of fatty richness and was just shy of the blow your mind away amazing a good slow simmered Bolognese sauce should do. 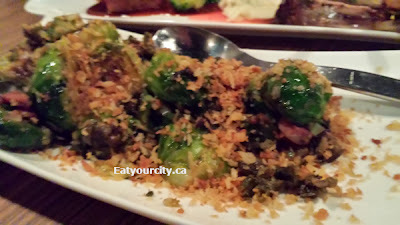 As our meals were pretty light on the vegetables, we had a plate of Brussels Sprouts – garlic, pancetta, capers, Colatura di Alici pangrattato as well. 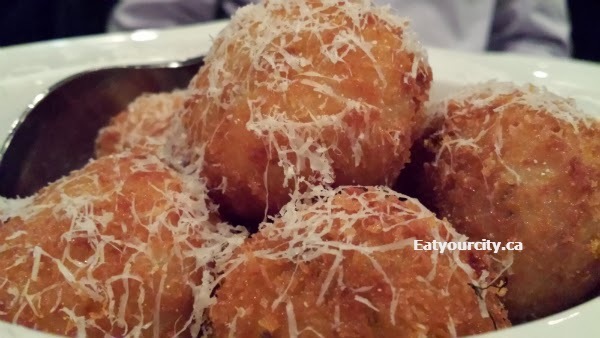 These tender crisp bites of happiness are fried? and then tossed in a salty savory sweet and tangy mixture of garlic, pancetta, capers, cheese... and topped with a crispy breadcrumb topping. It only needed a bit of lemon zest or a bit more lemon/balsamic vinegar for acidity... but a delightful spot on dish. We didn't have too much room left, so we shared a Panna Cotta. 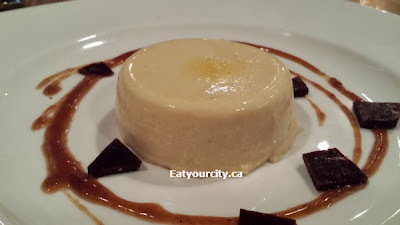 They had their new Winter Chestnut and candied rosemary on the new menu, but they still had a lovely creme brulee panna cotta from their old menu, and we veered straight for it. My boyfriend enjoyed the burnt sugar pieces scattered on the plate - I wasn't a fan of them, but my personal preference has always been super thin burnt sugar cracklings... would have lovely the burnt sugar as a filigree or cotton candy. 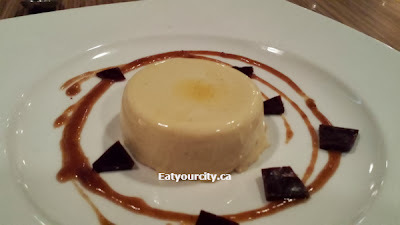 The panna cotta itself was light, slightly jiggley, lusciously smooth and infused with notes of cinnamon and vanilla, and was a lovely dessert to wrap up our meal. 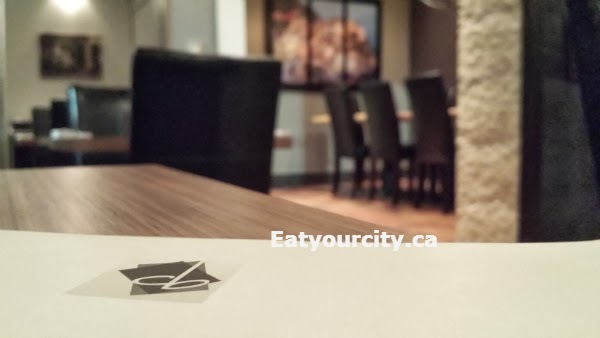 Overall, a small and intimate place with fantastic in house cured meats, and will likely be a star in Edmonton's foodie scene for years to come.